RISPA - Moving Toward a Culturally and Linguistically Competent School District. Moving Toward a Culturally and Linguistically Competent School District. Juanita Sanchez Educational Complex (182 Thurbers Ave. Providence, RI). RISPA will be hosting Pizza and PD on May 25th from 5:00 pm - 7:00 pm. 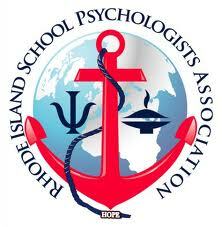 It will be hosted at Juanita Sanchez Educational Complex (182 Thurbers Ave. Providence, RI). Our guest speaker is Dr. Jose Gonzalez. The presentation is called: Moving Toward a Culturally and Linguistically Competent School District. Brief Bio: Jose Gonzalez has been in the field of education for his entire professional career. He began as a high school Spanish Language Arts and ESL teacher in a bilingual program in New York City. He also taught inmates the Spanish GED and ESL in the NYC Detention Centers. He went on to teach adults at the Urban Education Center in Providence. He later moved to higher education and was an admissions adviser for URI and Bryant College. After that, he went to work for the Providence School Department as a Director of Equity and Access. Jose was there for 17 years and assumed responsibilities as Director of English Language Learners, Director of Family and Community Engagement, Director of Special Projects and University Relations, and Director of Student Registration and Placement. Currently, he is an Education Consultant with the Central Falls school department and an adjunct faculty member in the Educational Studies Department at RIC. Jose has a Bachelor’s Degree in Social Work and Spanish (RIC) and a Master’s in Bilingual and Bicultural Education (RIC). He also has a Master’s and Doctorate’s degrees in Administration, Planning and Social Policy from Harvard Graduate School of Education. He is certified in RI as a Secondary English, Spanish, ESL and Bilingual teacher and as a Superintendent. It is $10 for members and $20 for non-members. You can pay at the door. We will be offering 2 NASP CPDs. Please pre-register by email RISPA at rispa401@gmail.com.